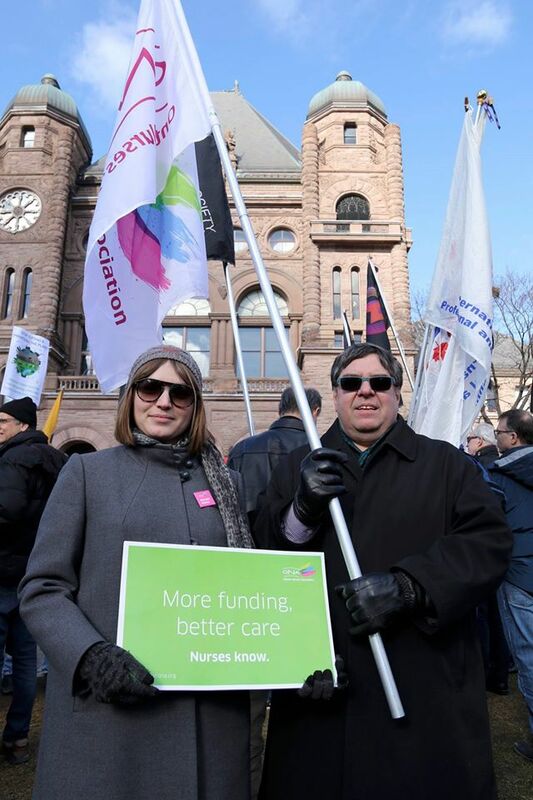 Ontario Health Coalition Executive Director presented to the Standing Committee on Finance and Economic Affairs at the Ontario Legislature this morning. 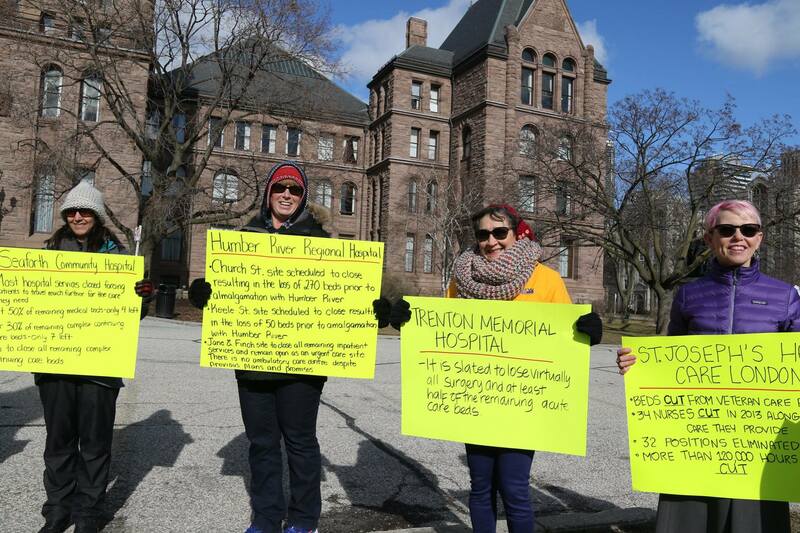 Here is the Ontario Health Coalition’s submission with the most recent hospital spending, nursing levels (all nurse classifications), and hospital beds and overcrowding statistics. Please share with those who might be interested. 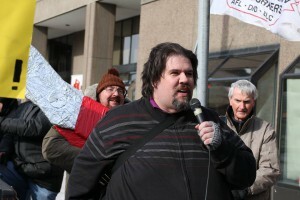 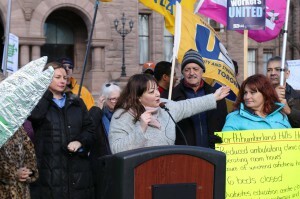 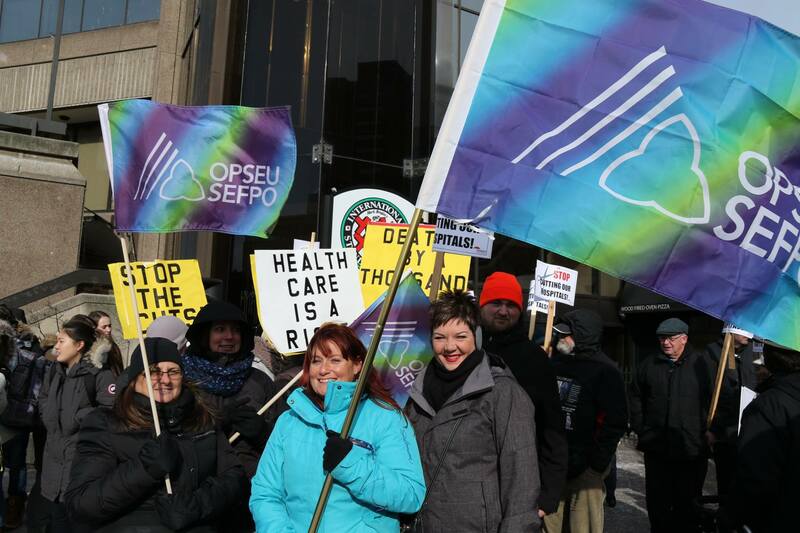 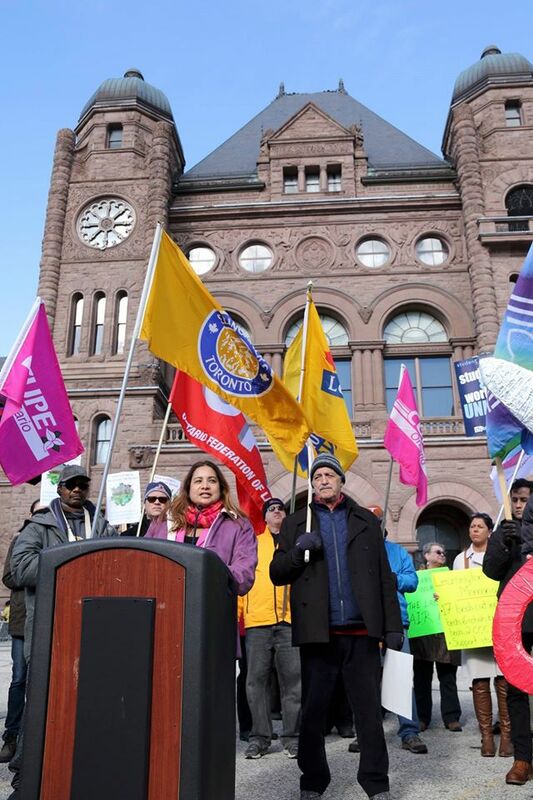 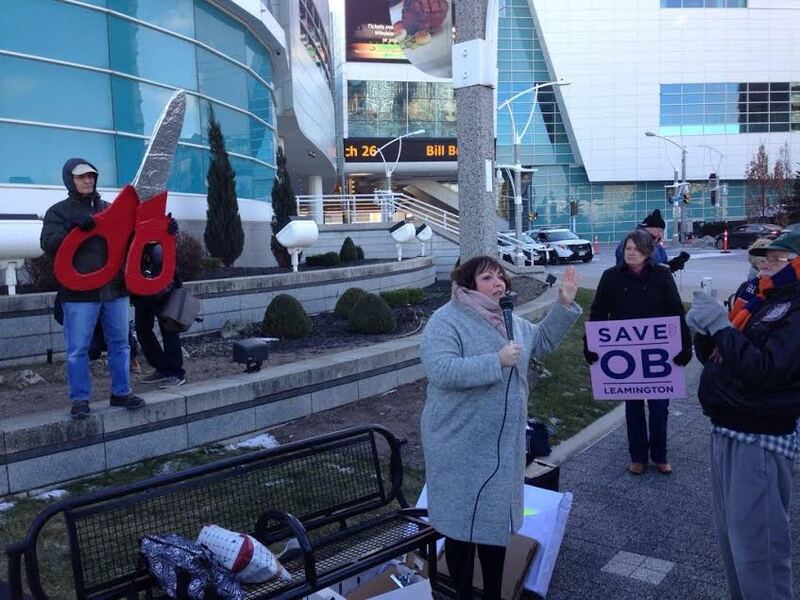 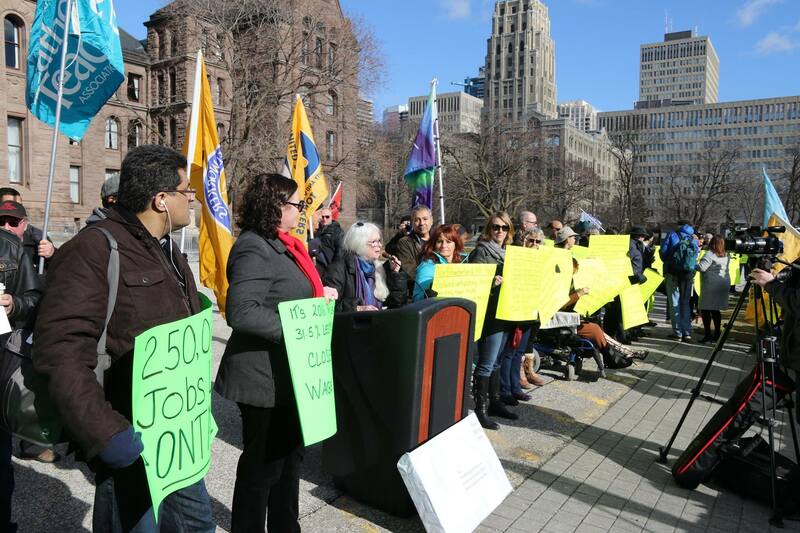 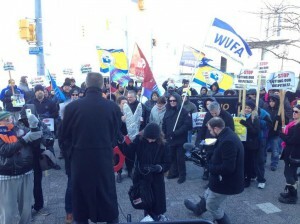 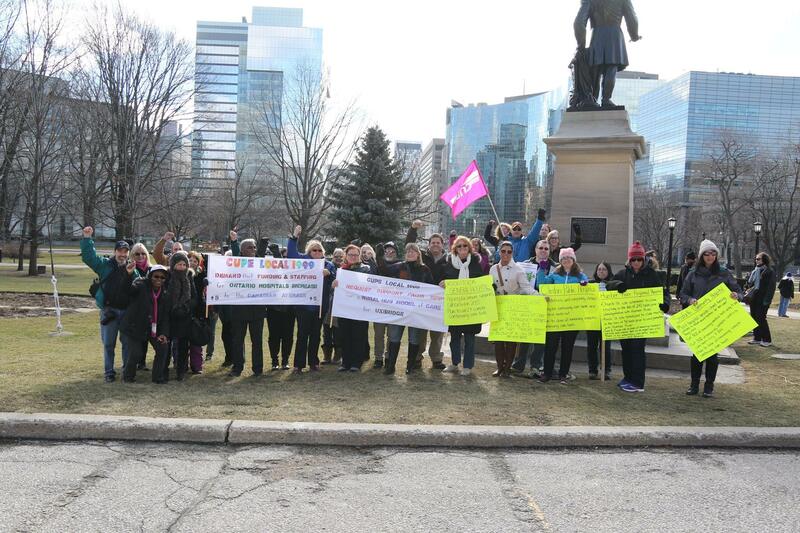 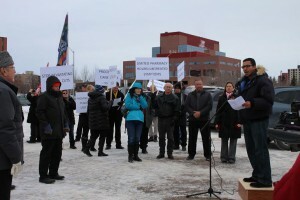 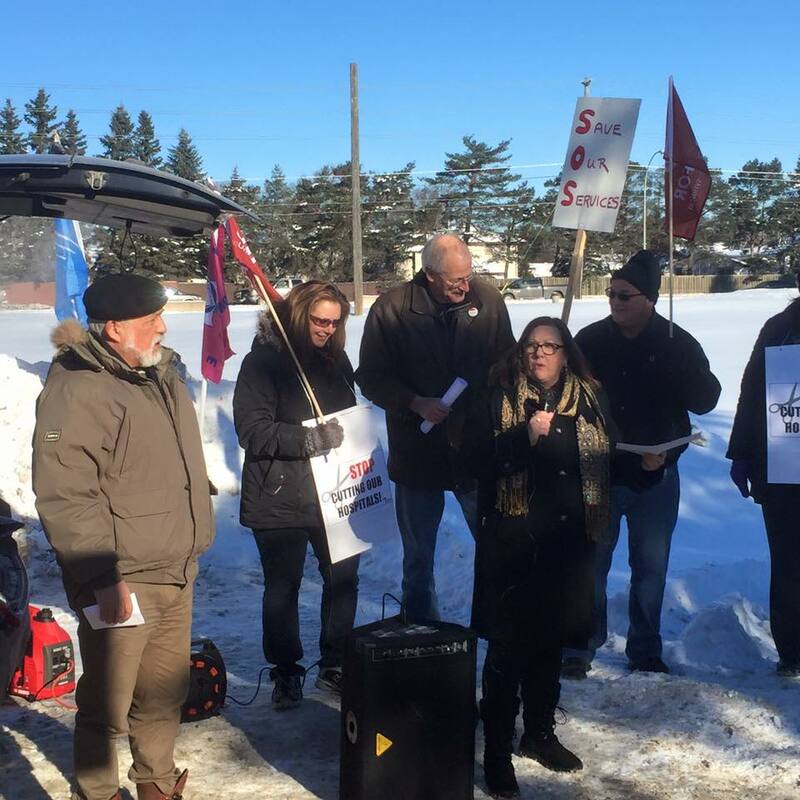 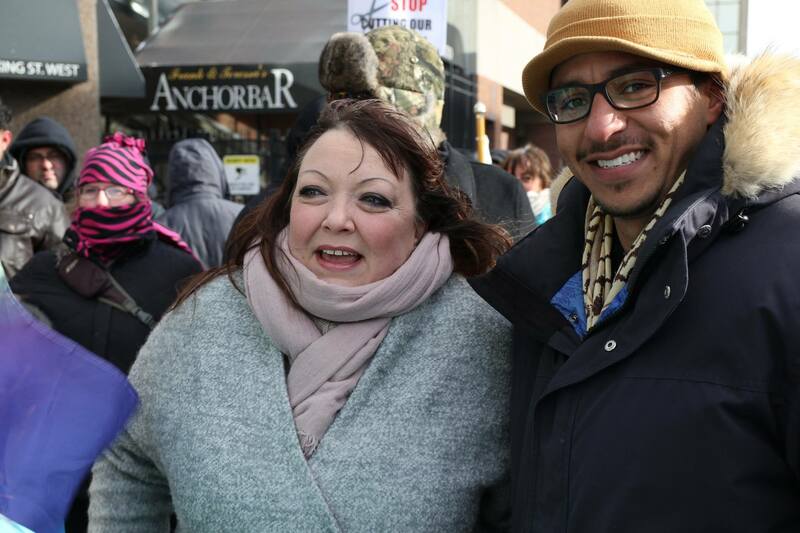 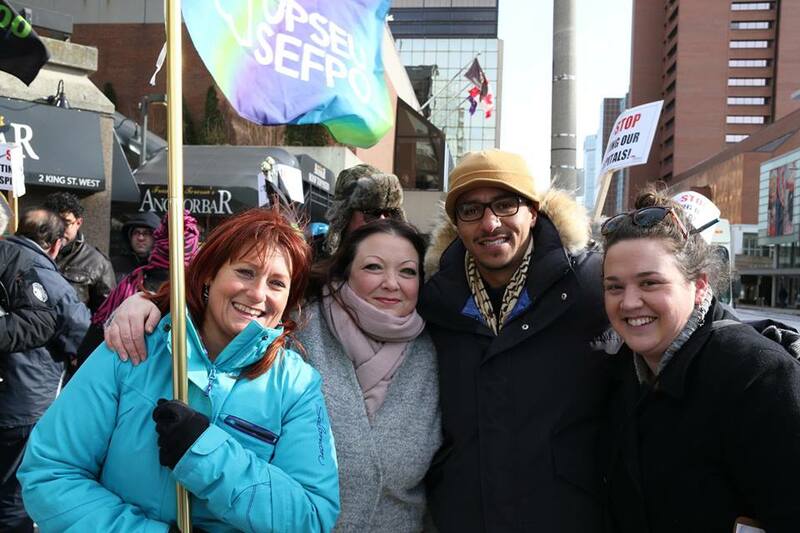 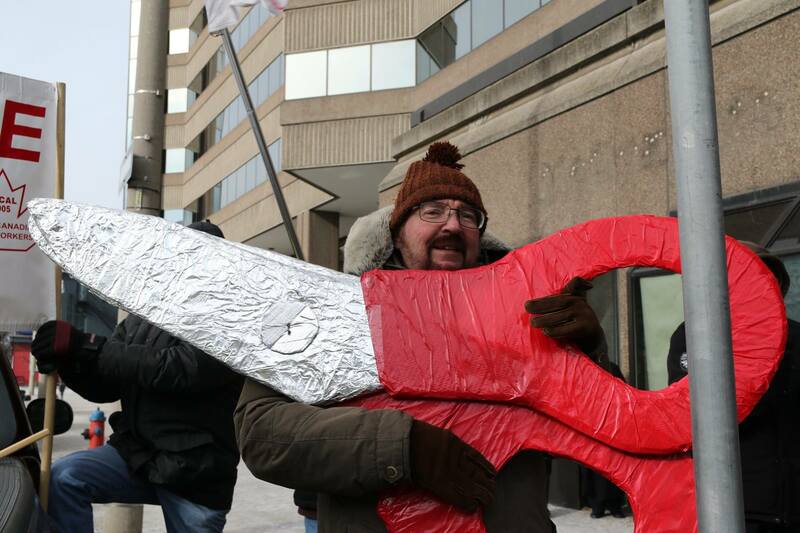 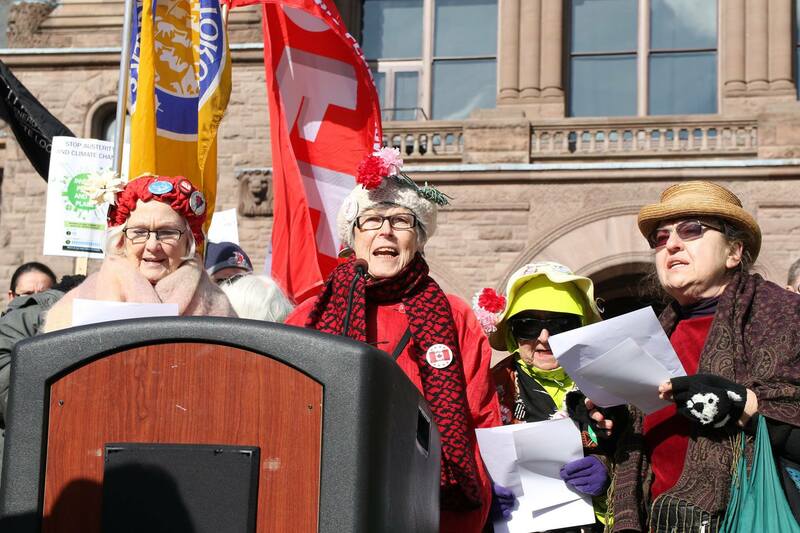 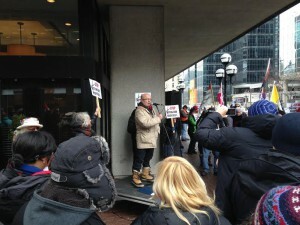 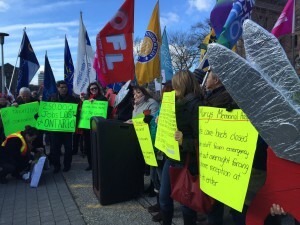 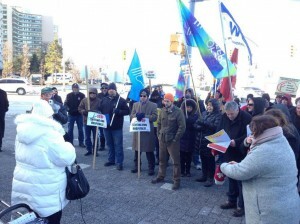 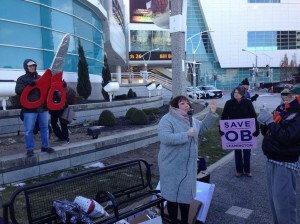 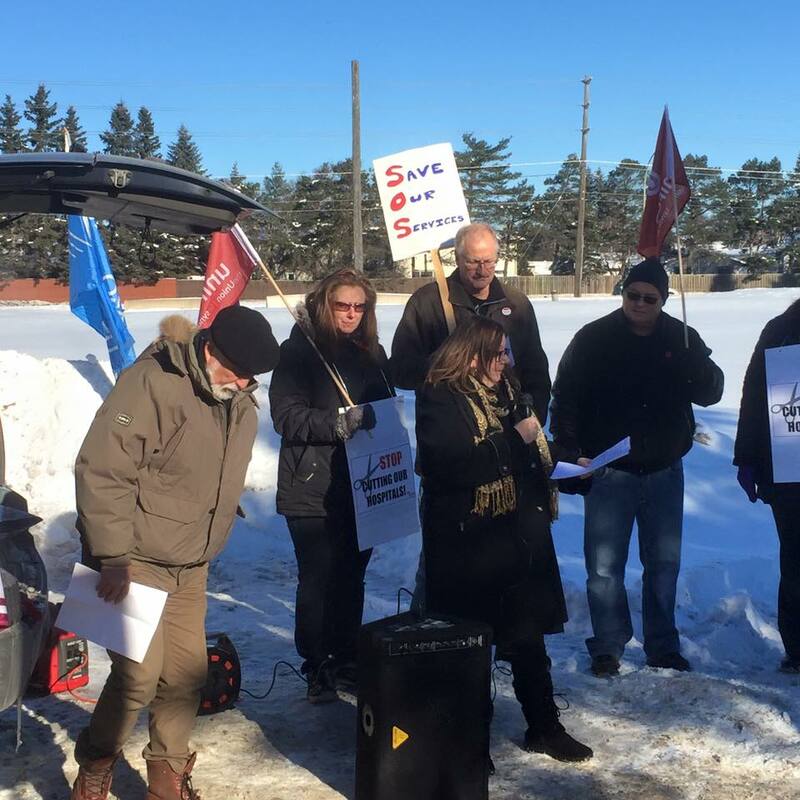 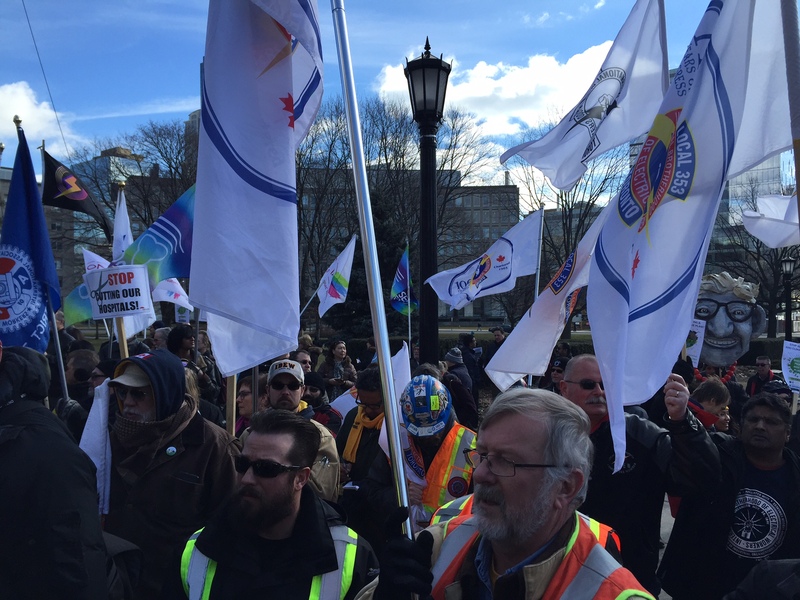 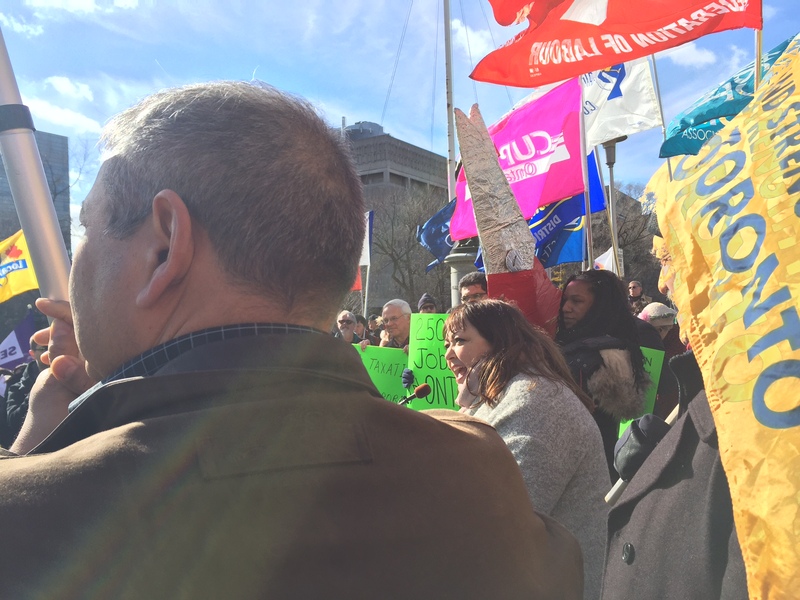 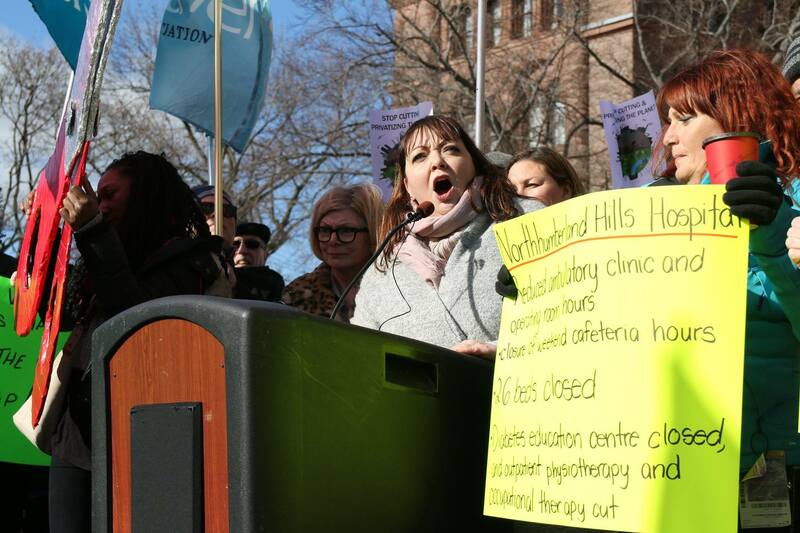 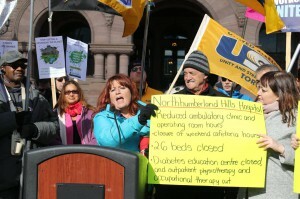 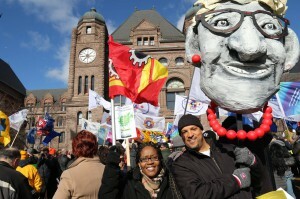 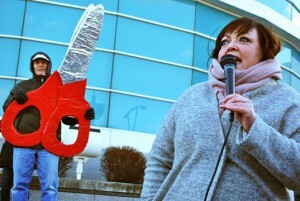 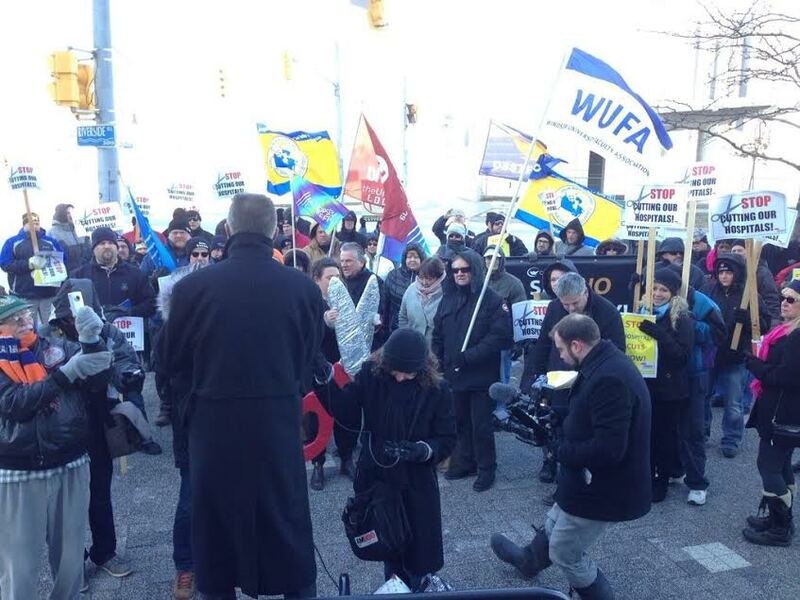 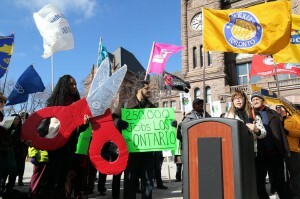 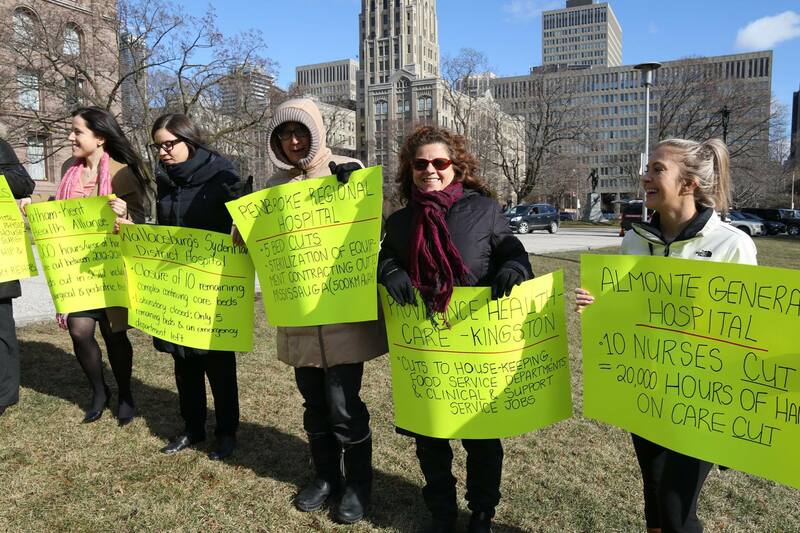 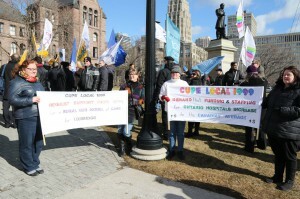 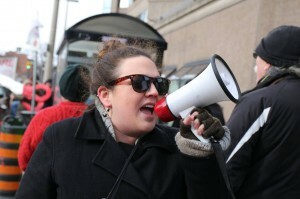 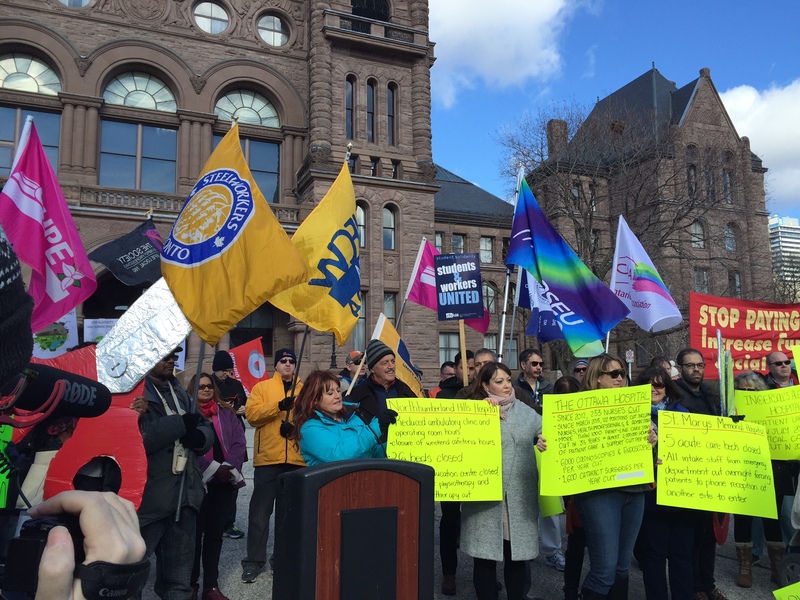 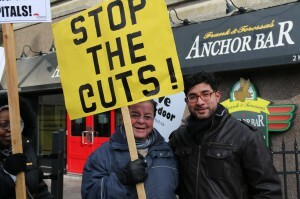 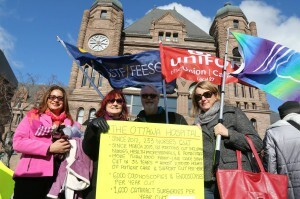 Thank you to the hundreds of people who came out to our rally outside the hearings at the Ontario Legislature at noon. 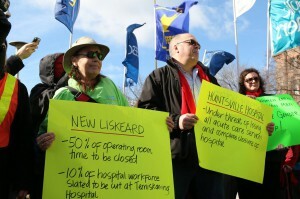 Woodstock – hip, knee and other surgeries cancelled til next fiscal year. 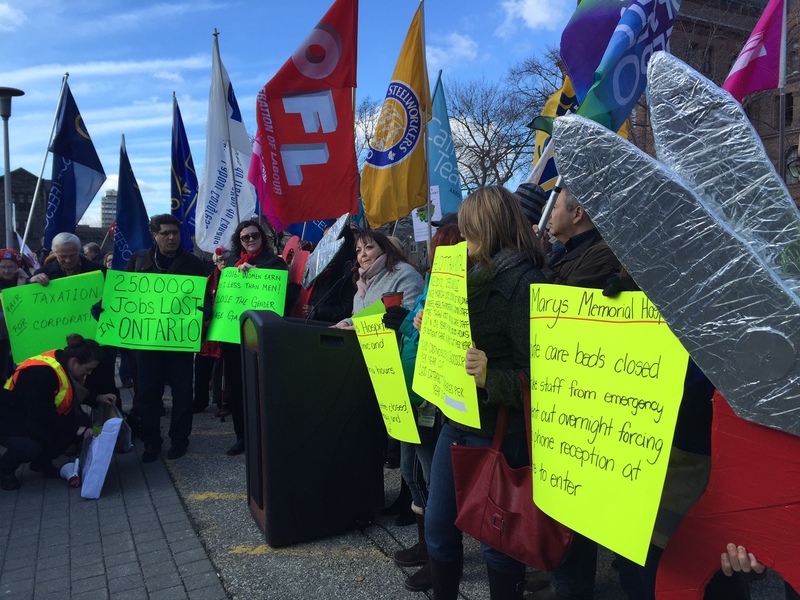 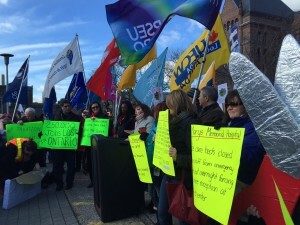 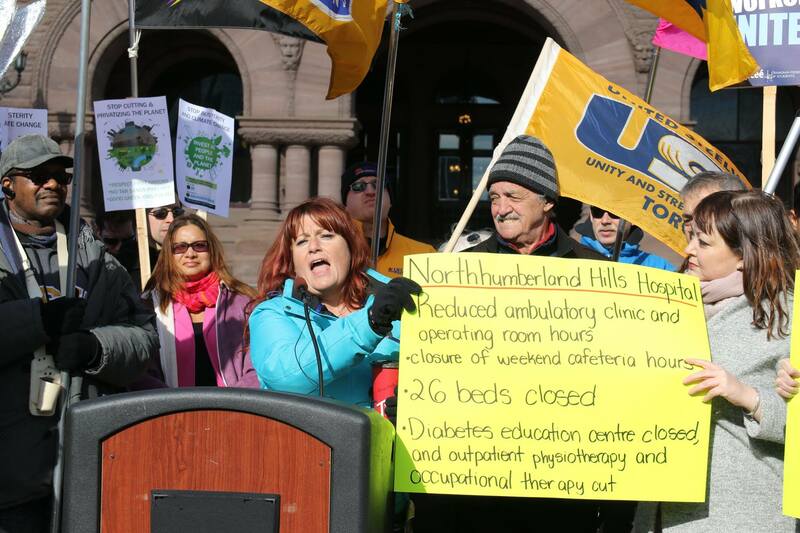 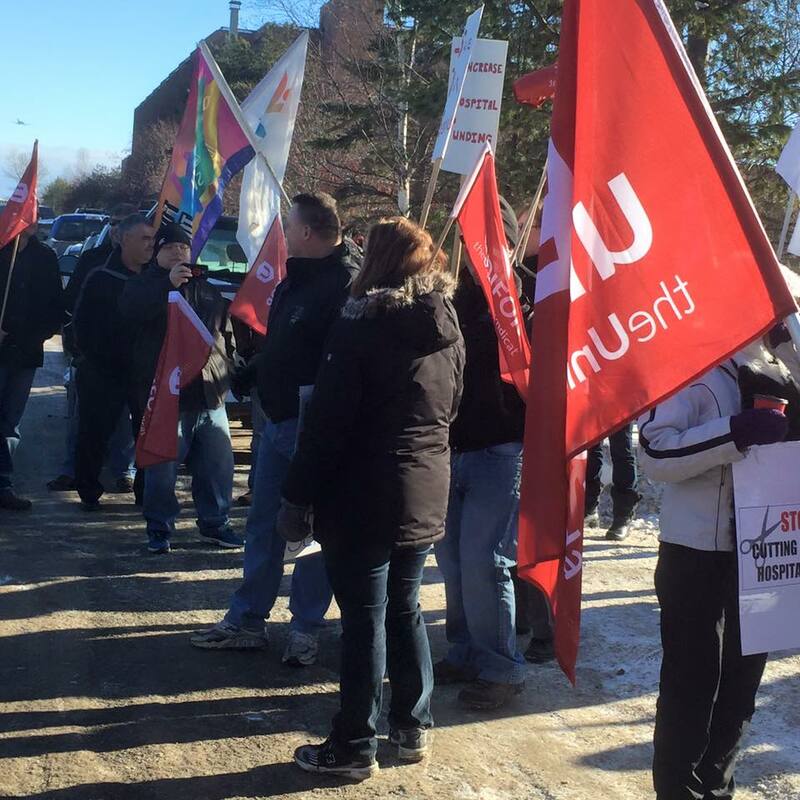 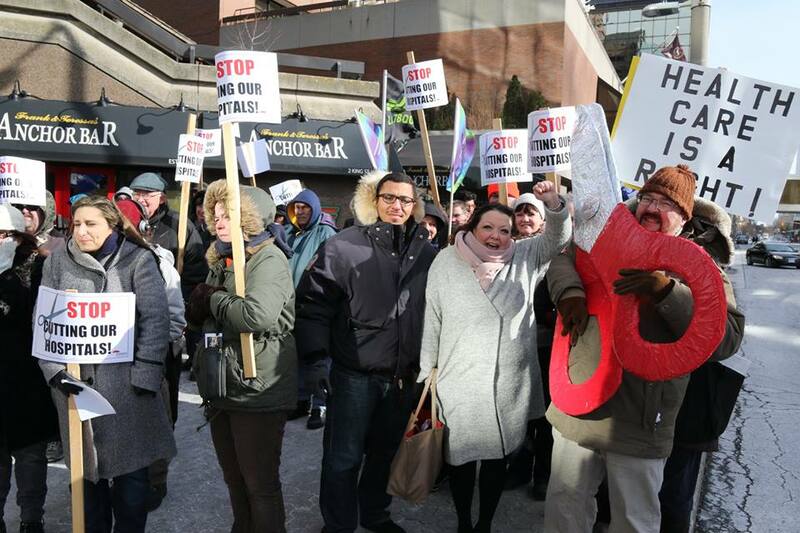 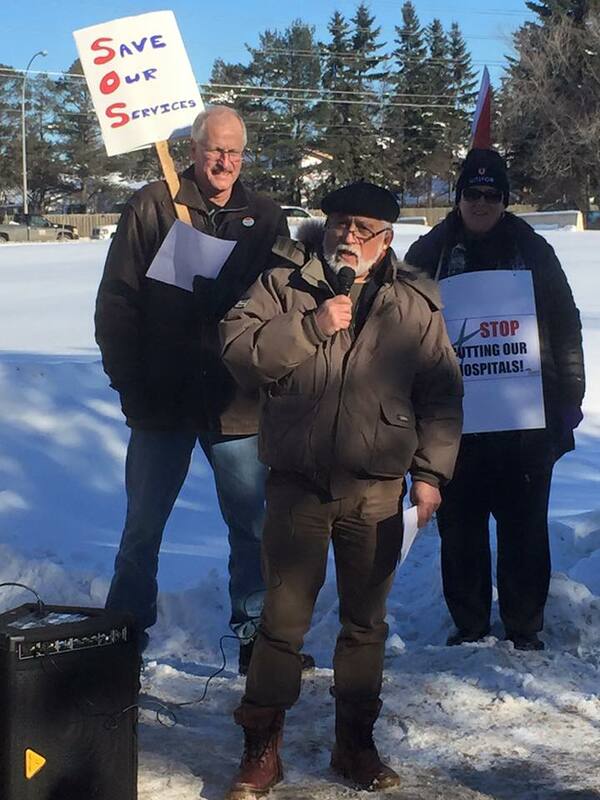 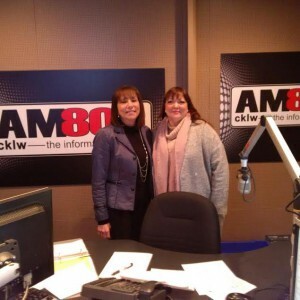 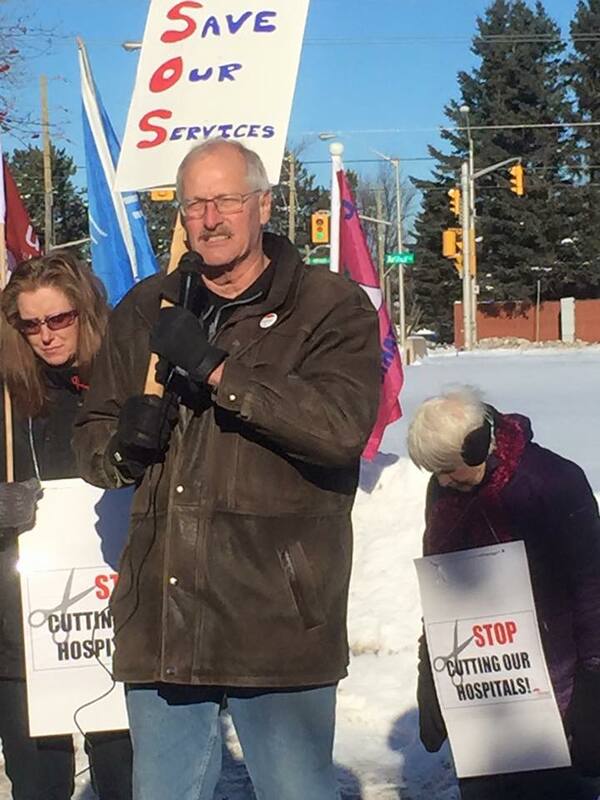 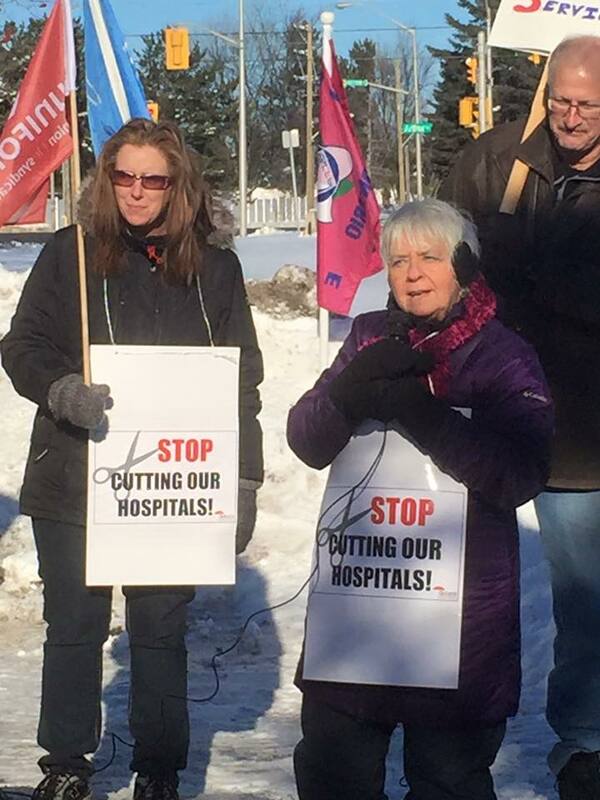 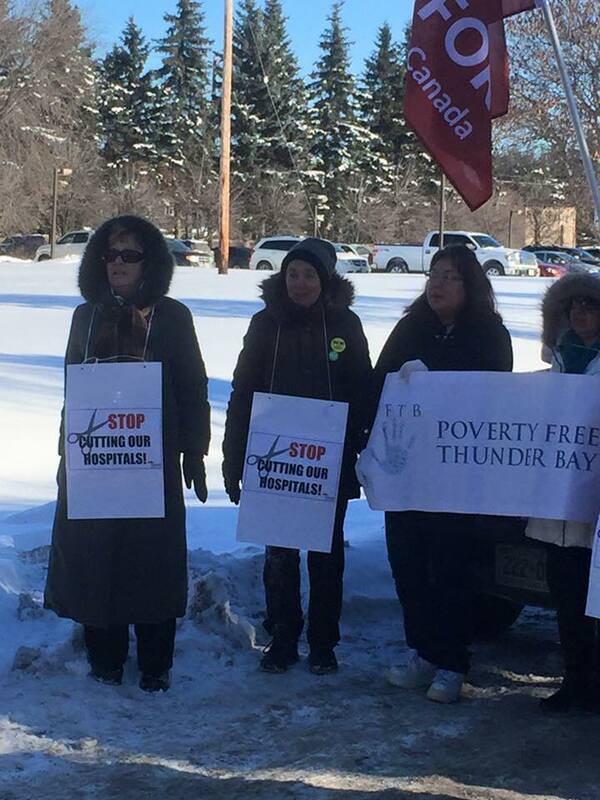 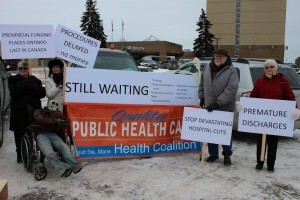 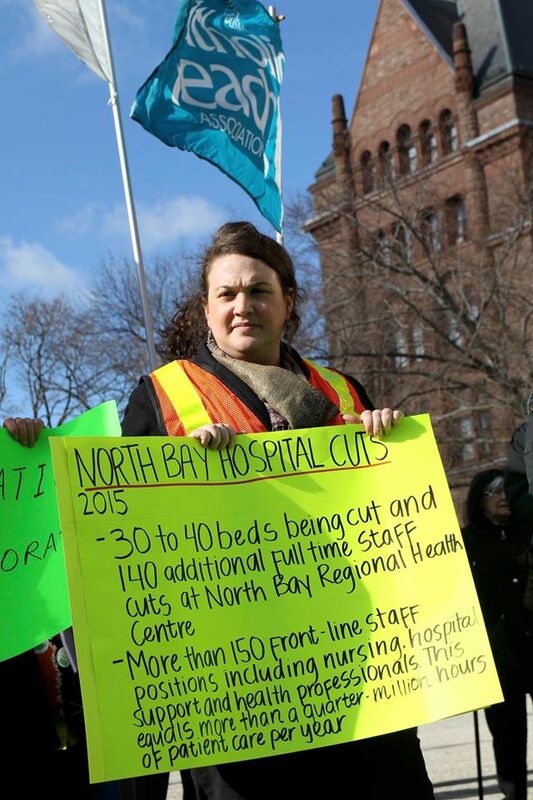 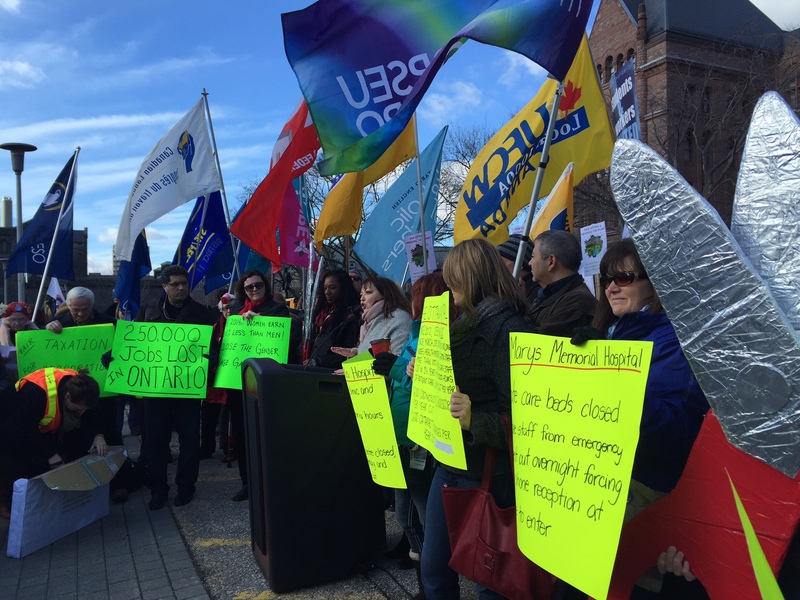 Windsor — > 160 nurses and staff positions to be cut affecting departments across the hospital. 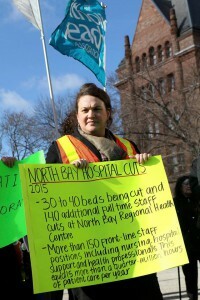 Author’s calculations from: Canadian Institute for Health Information, Data Table: Hospital Beds Staffed and in Operation 2013-14. Population statistics from Canadian Institute for Health Information, National Health Expenditures Database 2015. 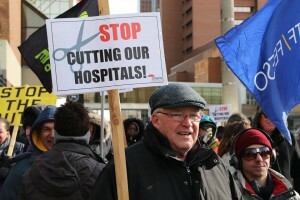 CIHI, National Health Expenditures Database 2015Hospital spending per person is a clear comparison of how many resources our government is allocating to these services. To measure economic sustainability or affordability, GDP (which measures economic output) is used as the comparator. 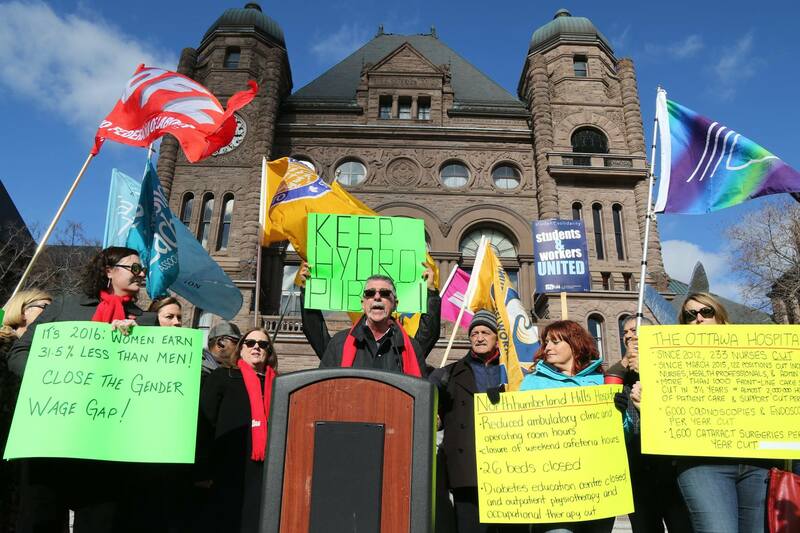 As measured as a percentage of provincial GDP, the results are the same. Ontario is second last in Canada, followed only by Saskatchewan which saw significant GDP growth in recent years. 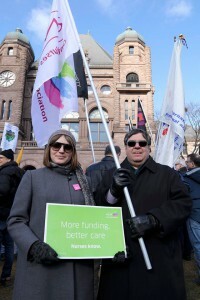 This measure shows that Ontario has room to improve hospital funding while keeping funding at sustainable levels, as long as funding goes to improving services. CIHI, National Health Expenditures Database 2015Sustainability can also be measured in terms of expenditure as a proportion of the provincial budget. In Ontario, hospital funding as a share of the provincial budget has been declining for decades. 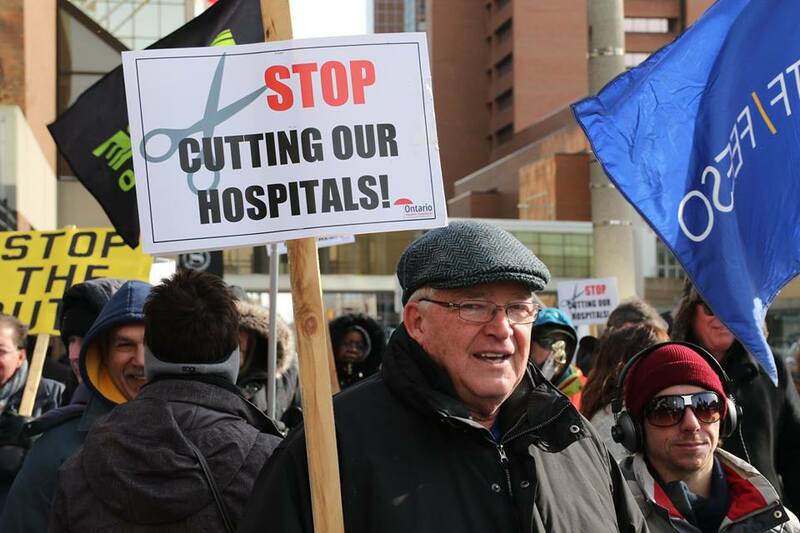 The most recent data show that we are third last among Canadian provinces for hospital spending as a proportion of total program spending. 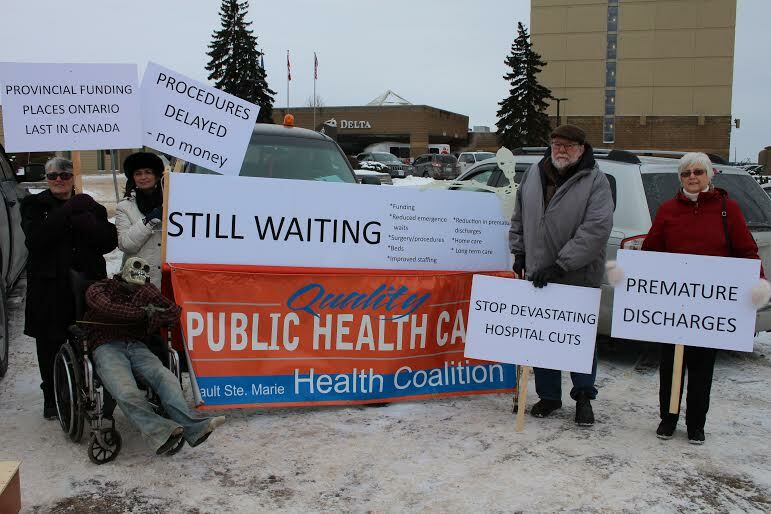 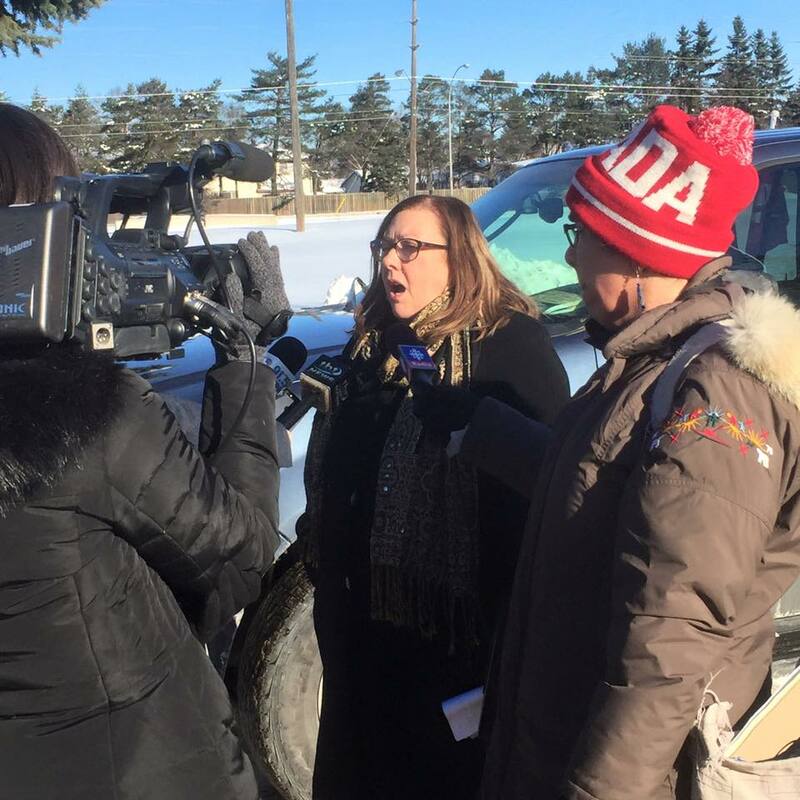 Again, the data show that we are considerably lower than the average of the other provinces and there is room to improve hospital funding to stop the cuts and restore service levels to meet population need. 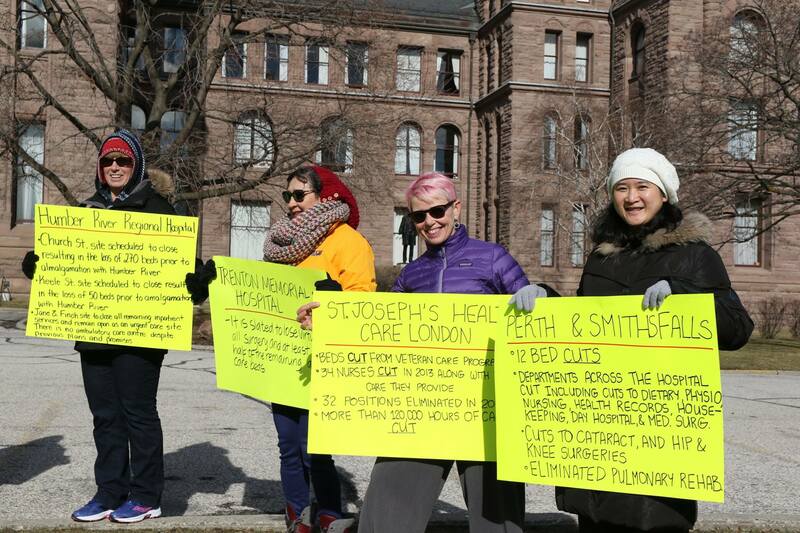 Not only is there a problem getting into hospitals, there is also a serious issue of patients being discharged too early and without placement in home care and in long term care homes. 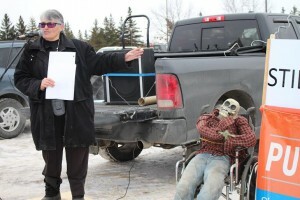 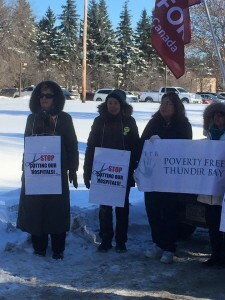 The Advocacy Centre for the Elderly reports that they receive frequent complaints from patients who are subject to pressure tactics to move them out of hospitals. Hospital policies may include statements that if person refuses to pick from short lists of long term care facilities that are not of their choosing, or if the patient refuses to take first available bed, then will be charged a large per diem ranging from $600 a day to $1800 a day. 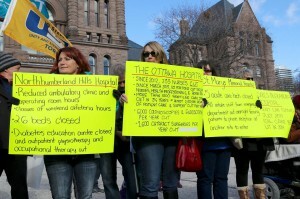 In many cases the charges levied against patients in an attempt to move them out of hospital are unlawful. In addition to reduced hospital beds and shorter lengths of stay for hospital patients, entire departments have been systematically cut from local hospitals. 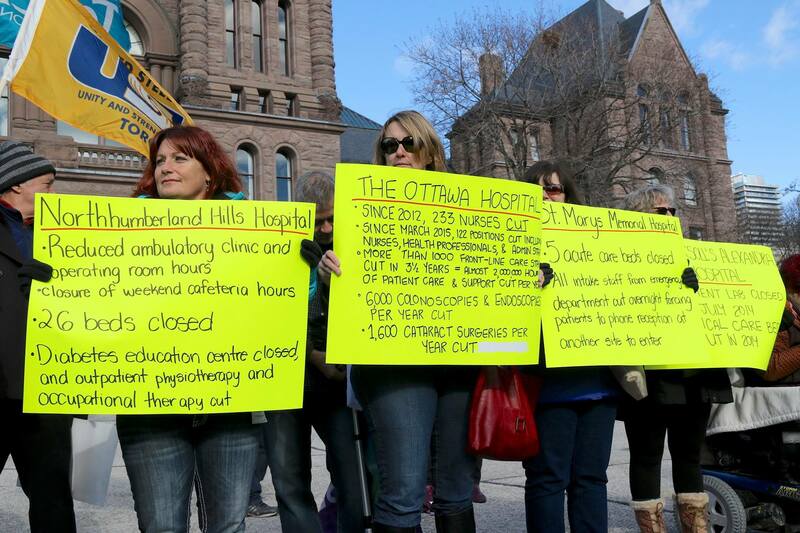 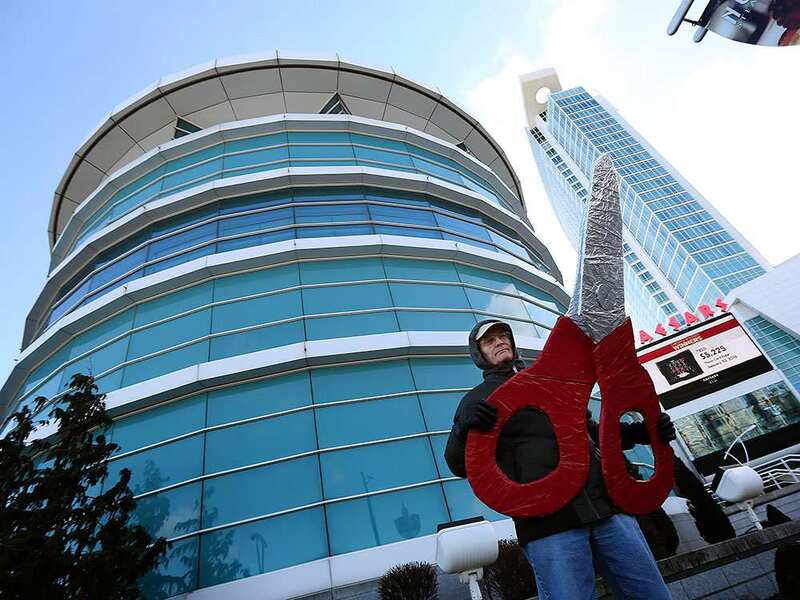 Outpatient rehabilitation, social work, laboratories and an array of outpatient services have been slashed. 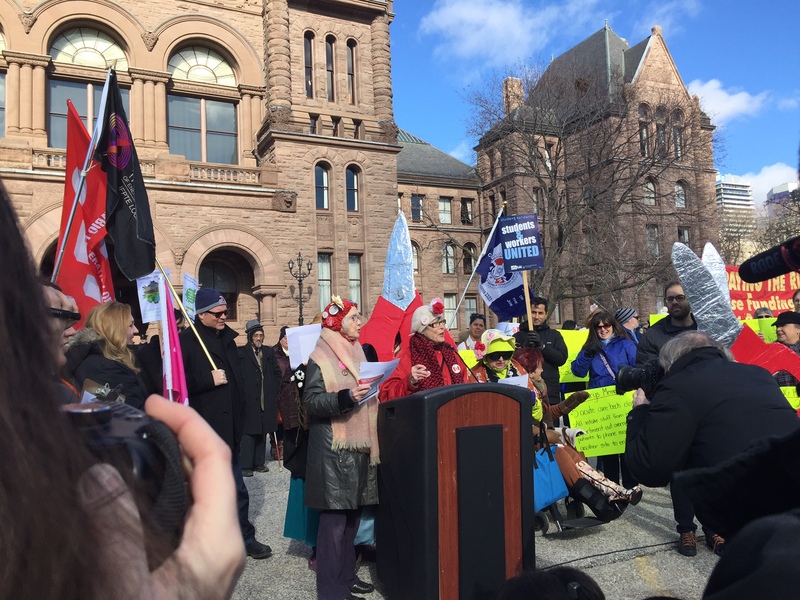 In many cases this care is moved far away from patients’ home communities, privatized and subject to new user fees, or simply inaccessible. The Ontario Health Coalition is comprised of a Board of Directors, committees of the Board as approved in the Coalition’s annual Action Plan, Local Coalitions, member organizations and individual members. Currently the Ontario Health Coalition represents more than 400 member organizations and a network of Local Health Coalitions and individual members. Our members include: seniors’ groups; patients’ organizations; unions; nurses and health professionals’ organizations; physicians and physician organizations that support the public health system; non-profit community agencies; ethnic and cultural organizations; residents’ and family councils; retirees; poverty and equality-seeking groups; women’s organizations, and others. 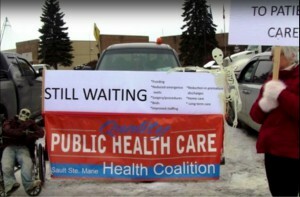 OECD “Health at a Glance 2009” page 95. 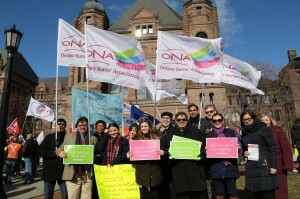 To view submissions from our local coalitions, please click here.